I love PODCASTS that motivate and inspire me! I listen to them all the time. When I am getting ready in the morning. When I am doing chores. When I am driving. They stimulate me with their ideas and inspire me to be all God created me to be. They challenge me to think in new ways. They entertain me and sometimes give me a chuckle or two. These days, I mostly listen to podcasts that feed me spiritually, inspire me as a midlife woman or teach me something about my passion – blogging! And this week, I actually was INTERVIEWED for my favorite podcast for midlife women – Midlife Schmidlife with host, Liz Applegate. In this episode, I talk about the loss of my parents last year, the start of this blog and the fun and adventure of trying new things when you are 50+. What an exciting time of life this is! You can listen here. 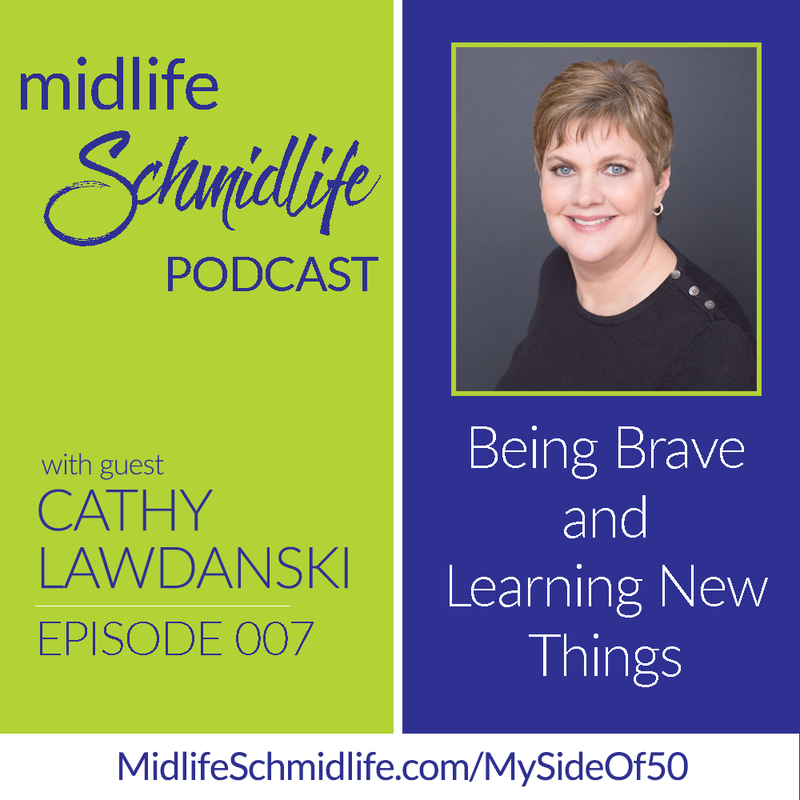 On Midlife Schmidlife, Liz talks to women about the midlife transition and reinvention many go through at this time in their lives. It runs the gamut – exploring passions and pursuing a new career, telling yourself the truth and not being afraid are common themes. The women interviewed are real-life women like you and me and their stories are inspirational and hopeful. These 5-minute devotionals by Matt McCarrick focus on one Bible verse a day. There is always some great nugget to chew on and apply. Matt presents in a conversational way. I don’t fell like he is talking “to” me. Rather I feel like I’m in the middle of a conversation with someone who is presenting his understanding of the Bible in a way that is humble and engaging. If I don’t have time for anything else, I can listen to this one while I brush my teeth – which most of the time I do! Dr. Charles Stanley has a warm and engaging way of teaching the Bible. He doesn’t always tell you what your want to hear, but he tells you the truth – just like your Dad would. In fact, when he wants to make a point, he often says “Now listen to me.”, which is what my own Dad used to say to me. Maybe that’s why I like him so much. Rick Warren is the author of the bestseller, The Purpose Driven Life. These excerpts from his sermons at Saddleback Church in California feature Rick breaking down Biblical truths in a way that is easy to understand. Rick always offers a practical way to implement these truths, which I appreciate. Renee Groskreutz is a WordPress and Blogging Guru. I have learned about all aspects of blogging from her – the technical side, about WordPress, SEO, content, social media – literally everything. I listened to her podcast even before I started my blog. She teaches in a way that is easy to understand for the beginner. Yet a blogger with any amount of experience can learn much. Writer and Blogger, Kirsten Oliphint teaches from her many years of experience as first a writer and then a blogger. Topics such as building your list, finding your audience, and the creative process of writing are some of the topics that you’ll find on this podcast. Kirsten also shares about mistakes she has made in this blogging journey. One of my favorite episodes is the one where she shares $1300 worth of mistakes she made in 2015! She communicates with humor and honesty. Do you listen to podcasts? What are your favorites? Tell me in the comments. I’m always looking for new ones. I just haven’t had time for podcasts. I don’t know how people do it! but hope to eke out some time soon. I’ve never been able to fit i a podcast but you’e inspired me! Thank you soo much for including my podcast in your list. It has been such an honor to get to know you as a blogger. You are welcome. Your podcast is so good. Hope you get lots of new listeners! My husband listens to podcasts all the time. I can’t seem to fit them in but there are so many good ones out there. Yes, Lois – once you get started, it’s easy to get hooked! I’m going on a road trip tomorrow and plan to listen to some podcasts. There are so many good ones to choose from. Helene, I find that podcasts sure make the time go faster in the car. Hope you found some on my list that you liked. I rarely listen to podcasts, but now I will need to check these out. Thanks for sharing them. I have a podcast so I’m definitely interested in them. Some of the best places to listen are in the car or when you’re traveling. If you’re sitting in traffic, it’s a great time to learn new things or just be entertained. Many of my listeners also listen when they go for a walk. I have to admit that because I am also a voice actor, I have a hard time listening to shows that are not edited or have bad sound. But that’s just me. I totally get that! Since I listen to so many, I certainly notice the difference! I couldn’t live without my podcasts when I’m driving. Great way to pass the time. I have yours on In-law conflicts in my que! I don’t listen to podcasts. I prefer reading. My sister in law, on the other hand, loves them. We live a world of lots of entertaining and enriching choices. Isn’t it great! Hi Cathy, I’ve not listened to a podcast in quite some time which is silly as I do enjoy listening to them. I quite fancy your last two suggested podcasts, I’ll see if I can pick them up and have a listen. Debbie – glad you found a couple that sounded interesting to you. I think you’ll like them! Great, Debbie. Let me know how you like them. Congrats on being featured on the podcast! 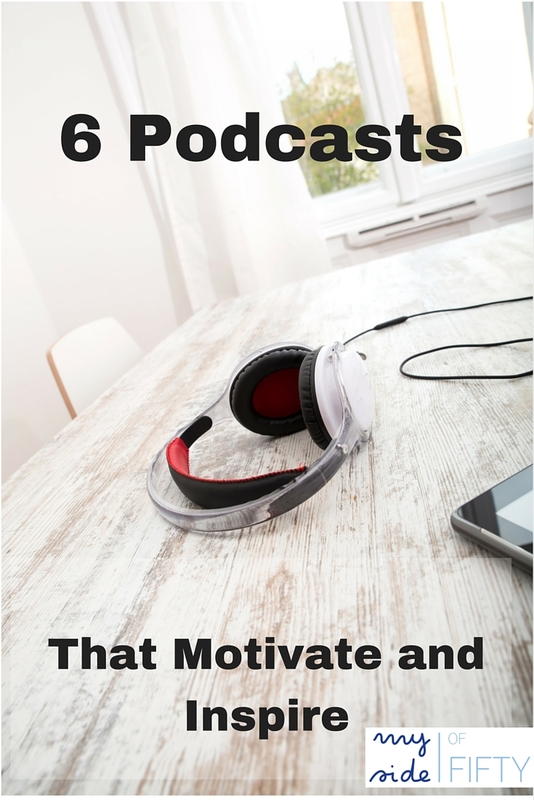 I am addicted to podcasts and will bookmark these to add to my podcast lists. I learn so much useful info from podcasts and couldn’t live without them! Me too – it’s such a great way to learn! Rosie – I am the same way. Always have one on when I am in the car or doing chores. Thanks for telling us about the podcast about blogging and the one about writing. Those sound really interesting. 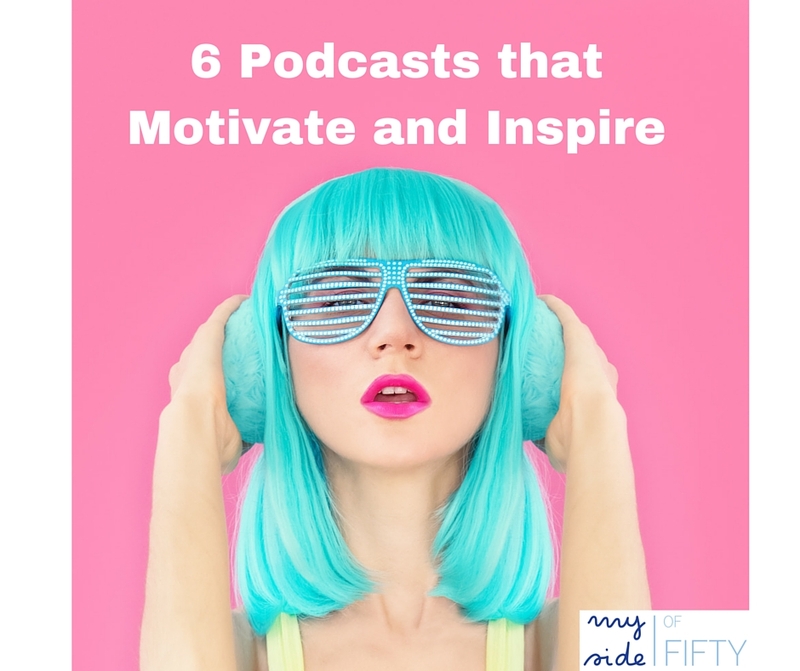 When I was working, I used to listen to podcasts in the car (I loved The Moth and RadioLab and Jillian Michaels Podcast), but now I pretty much never listen to them,…and really,..podcasts are so great! Maybe I need to start taking a morning walk and listen to a podcast! Thank you for the resources! I always listen when I’m doing chores or driving. Makes the time go faster. I’ll bet Jillian Michaels is good. Several others have mentioned The Moth. Will take a look at RadioLab! Thanks for some great suggestions, Gigi! I listen to 99% invisible, Afterbuzz TV On the Bachelor/Bachelorette (*hangs head in shame), Problogger. I’ll have to check some of your list out. I’m always looking for more. Pro-Blogger is on my list too. Don’t be ashamed of your Bachelor/Bachelorette addiction! 🙂 I have not heard of 99% Invisible. Will have to check it out! Great suggestions! There are lots of good ones. Hope you enjoy these! Thanks for sharing some of your favorite podcasts. I love listening to motivating info, especially when I’m driving. It really helps to pass the time, time that I wouldn’t normally be getting fed. At least not something other than music, which has it’s place, but I love info! Congrats on being on the podcast, losing loved ones is never easy and this will help so many!!! I have learned so much from podcasts and I love how they pass the time when driving or doing chores. Mackenzie – thanks so much for listening. I’m glad you hear your parents have recovered. That must have been scary for you! I appreciate your kind words. I love podcasts. I haven’t tried any of these though. Thanks for this list! Great – Hope you find some you like, Michele! That is a lovely list of podcasts that you have shared. Thank you. I could not find the link to your interview. Congratulations on being interviewed on a podcast, Cathy! I am going to find and download that episode now. Actually, I’m going to find several of these. I’m a podcast junkie and I’m always looking for new content. Thanks for sharing your favorites! Glad you saw some that you like, Wendy! So happy to say that your Podcast post was among the most clicked on The Bloggers Pit Stop. Be looking for a feature on Friday. Thrilled to be featured, Kathleen! I’ve never been a podcast person but those that love them swear by then…plus, I could listen during my commute. These also sound like great ones. pinning! I listen to mine in the car all the time. Great way to pass the time! I love these! Gonna check out Renee’s for sure! A couple I love are Delighting in my Days by Lisa Hensley and God Centered Mom by Heather Macfayden, although I’m just a puppy mom 🙂 How do you subscribe to your podcasts? Do you subscribe through a typical service where they aggregate? Or just go to their sites? I need to figure out as an Android user to ‘subscribe’ so I get them regularly. Thanks for sharing these! I love podcasts and am just getting into listening to them. I listen while I work or am in the car as well. I love podcasts too. I save them to my mp3 player and walk around with my earphones in my ear like a regular teenage! (several times removed.) Cancer is a war. Bring in the Artillery. Great info Cathy! I not only love doing my podcast but love listening! Some of these I was familiar with and some I wasn’t. Will have to check them out because I am an information junkie! Hi Cathy I never think about podcasts and not sure why but I don’t think I’m alone. I must check out your suggestions though. Thanks again for linking up with us at #overthemoon link party. Great to have you join us and I hope you have a lovely week. I’ve shared on social media. I find your model’s hair to be very inspiring 🙂 But seriously I am intrested in a few of those business based podcasts.